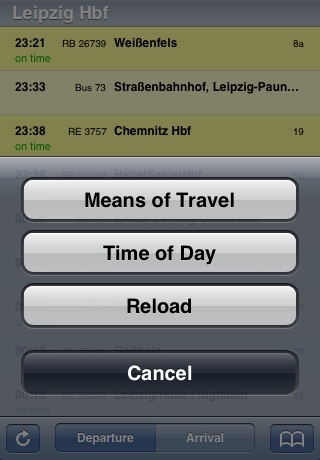 iPhone OS 3.0 is now the minimum requirement to run this app, version 2.2.1 is no longer supported. Thanks for the patience, all the constructive criticism in the ratings, as well as the encouraging emails. It definitely helped to boost my motivation to release this update eventually, despite all difficulties. 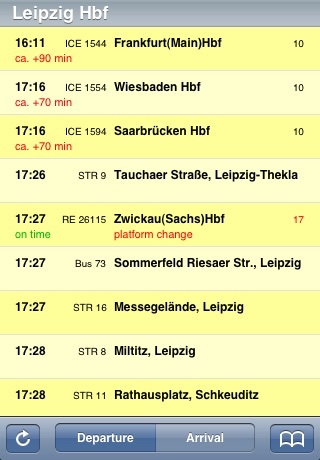 Fahrplan displays up to date timetable information for German public transport. 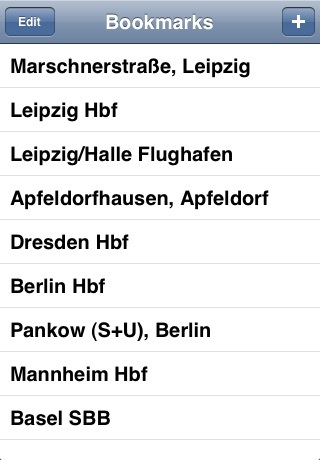 Enter the name of a city, station, tram or bus stop and it will list the departures or arrivals within the next hour.